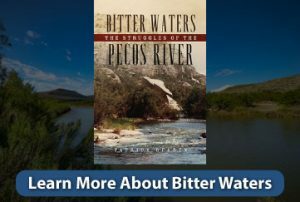 Bitter Waters: The Struggles of the Pecos River – by Patrick Dearen has been released. 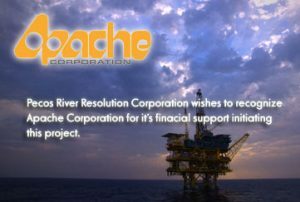 The first book-length environmental history of the Pecos River has been published, culminating almost seven years of work sponsored by Pecos River Resolution Corporation (PRRC). Bitter Waters: The Struggles of the Pecos River by Patrick Dearen was released in March by University of Oklahoma Press. The book explores man’s influence on the river throughout its 926 miles from its New Mexico headwaters to its confluence with the Rio Grande at Amistad Reservoir on the Texas-Mexico border. Bitter Waters also identifies the river’s many issues and the prospects for solutions. PRRC is indebted to the many Friends of PRRC whose financial support made this book possible. 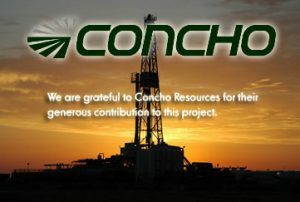 A generous contribution by N.S. Haley Memorial Library allowed the publisher to issue Bitter Waters in hardcover. Bitter Waters is available for purchase at University of Oklahoma Press here. Online booksellers also carry the title in both print and eBook editions.